The popularity of visual content marketing grows day by day. 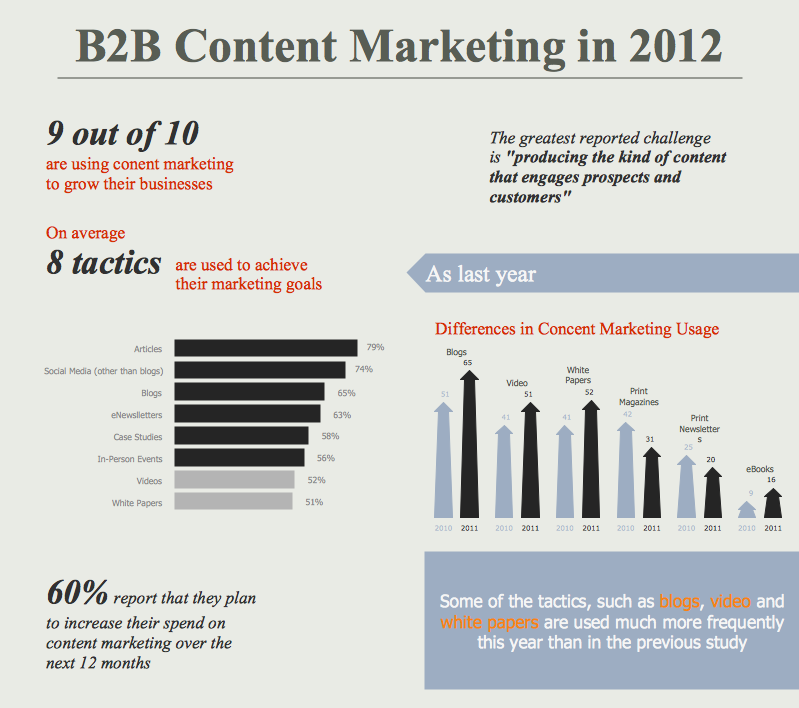 So now simple and convenient designing of professional looking Content Marketing Infographics becomes increasingly actual. For achievement this goal ConceptDraw DIAGRAM software offers the Marketing Infographics Solution from the Business Infographics Area. 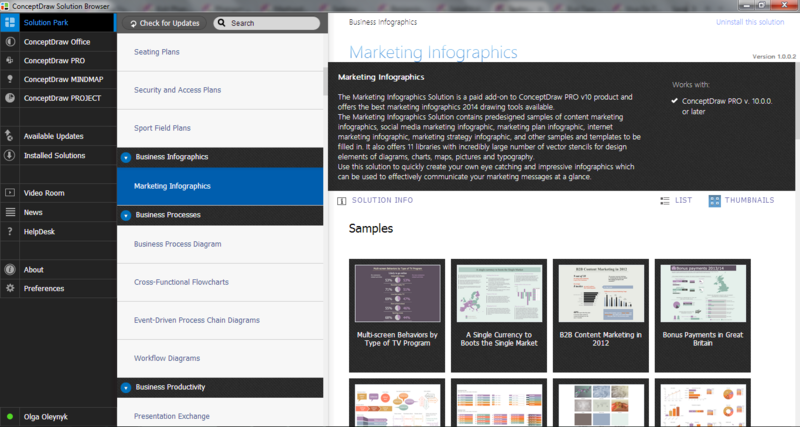 and make changes – edit the text, add marketing objects, charts, maps, pictograms from the Marketing Infographics libraries. If you can't find the required sample among the proposed, you can create new document and draw your own content marketing infographics from the beginning. 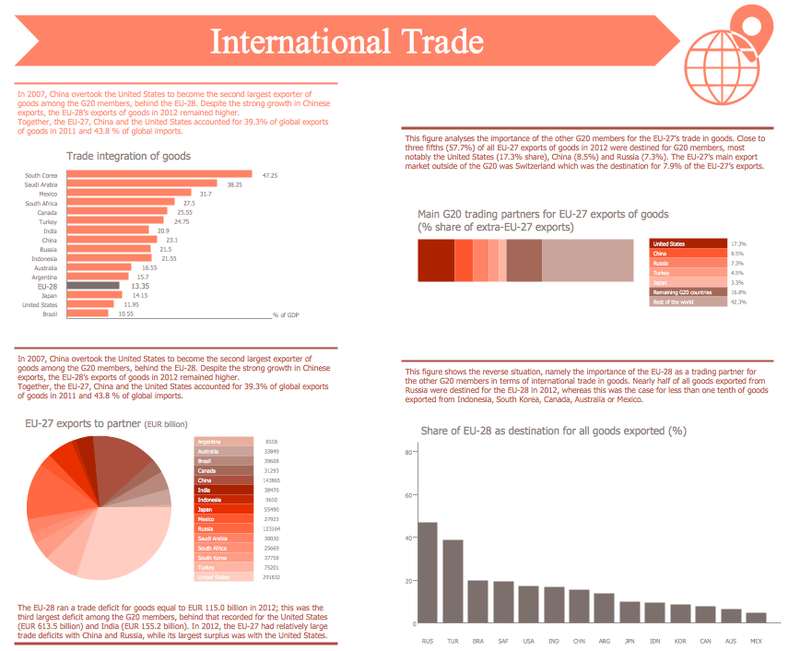 The samples you see on this page were created in ConceptDraw DIAGRAM using the vector objects from the Marketing Infographics Solution libraries. These samples demonstrate the solution's capabilities and the professional results you can achieve. An experienced user spent 10 minutes creating every of these samples. Use Marketing Infographics solution to effectively design your own Content Marketing Infographics and then successfully use them. An example of marketing analysis diagram, can be used to analyse product market and define marketing strategy.